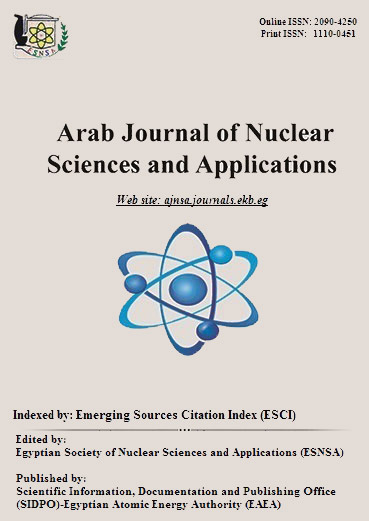 In the present work, the gamma spectroscopy technique has been applied to determine the outdoor and indoor absorbed dose due to background gamma radiations outside and inside King Saud University campus in Malaz (Girls' Branch). Also, thermoluminescence technique along with a theoretical model based on Monte Carlo simulation and point Kernel dose equation have been applied to determine the gamma rays indoor absorbed dose rates in the same place. The absorbed dose of each gamma line was calculated and estimation of the total absorbed dose for the detected gamma lines were obtained and found to 44.73 and 55.03 nG/h for outdoor and indoor respectively. Furthermore, TLD dosimeters were employed for two consecutive 60 days measuring periods. The obtained TLD results provide an estimation of outdoor and indoor average dose rates of values 45 and 63.21 nGy/h respectively. Additionally, the mean value of gamma rays indoor absorbed dose rates obtained by means of the applied theoretical model was 58.49±2.1 nGy/h.